Its magnificent rooms – once lived in by the exiled King of France, Louis XVIII, and his court – are furnished with antiques and hung with paintings. 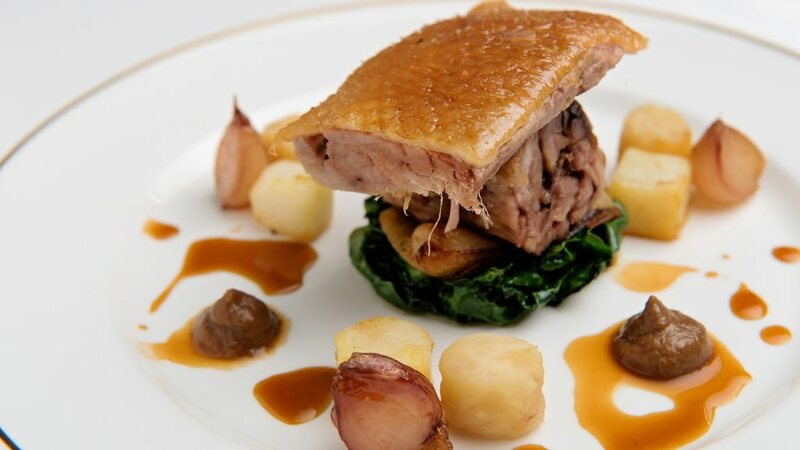 Its elegant drawing and dining rooms provide the ideal setting in which to enjoy the delicious food and fine wines. 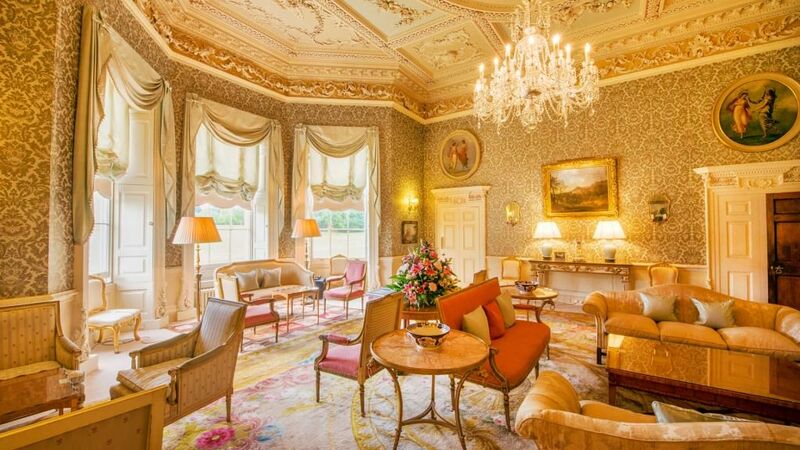 Hartwell House has 30 bedrooms and suites in the house, air-conditioned where necessary, and a further 16 at Hartwell Court, originally 18th-century coach houses. This luxury hotel is only 45 minutes by car from London Heathrow and 25 minutes from London Luton airports, and just one hour from central London. In September 2008, Historic House Hotels Ltd donated all its interests in Hartwell House and its other two properties to The National Trust, with all profits benefiting the house and the charity. In the gallery overlooking the pool is the Spa Cafe & Bar, where you can enjoy delicious meals and drinks throughout the day. Summer, winter and spa breaks are popular and excellent value for money from £135 per person. Head Chef Daniel Richardson watches over the menu at the awarded 2AA Rosettes reatsurant. 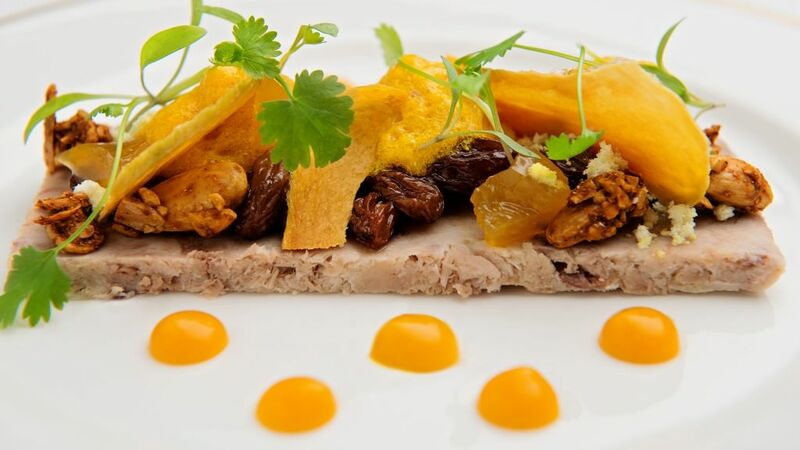 Each course used the best of local produce to create a range of unique dishes. Smart. Trainers, tracksuits and shorts are not allowed. 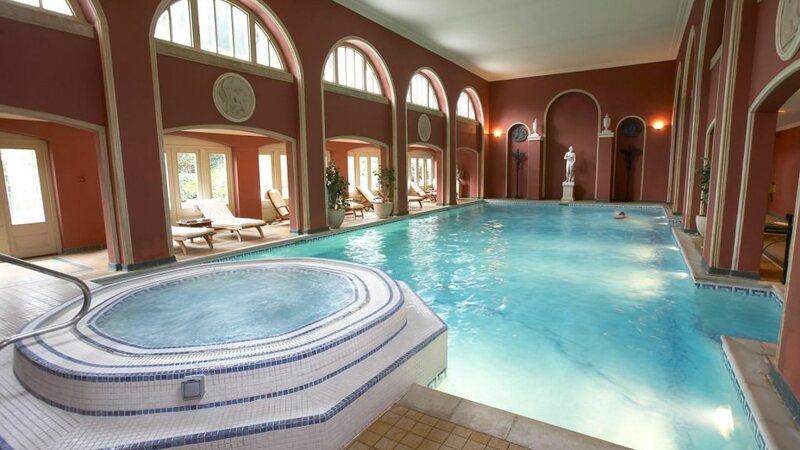 The Hartwell Spa is situated close to the Hartwell Rooms and Hartwell Court. Swimming pool, steam room, sauna and the bubbling waters of the whirlpool bath are all included. All weather hydrotherapy Hot Tub located on the spa sun terrace. For the energetic, a gymnasium has all the latest technologically advanced equipment, suitable for all ranges of fitness. There is also the Spa Café and Bar, open to both residents and non-residents for breakfast, morning coffee, lunch and afternoon tea. Treatments include Swedish body massage, Clarins Facial Treatments, ESPA Facial Treatments, Massages with essential oils, Waxing, Detoxifying Treatments, Bronzing Treatments, Algae Wraps, Restorative Mud Treatments, Manicures and Pedicures, Brow and Lash Tint. Children of residents, between the ages of 8 and 16, may use Hartwell Spa between the hours of 10am – 11am and 4pm – 5pm, when accompanied by an adult. 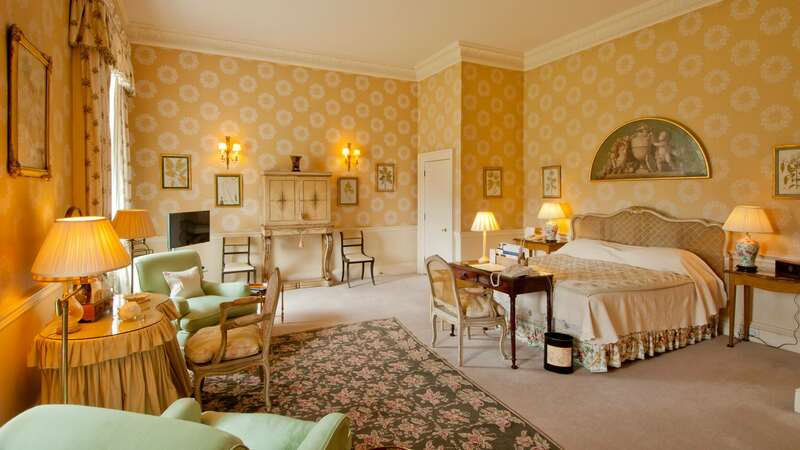 Guide price: Classic double room for two persons per night including cooked breakfast, VAT and use of the spa from £200. Leisure breaks and packages available from £150 per person. The Old Rectory, a private hide away for 7 guests from £1800 per night. Somethings are just quintessentially English just like this summer break at Hartwell House. Relax and enjoy a night in a classic double or twin room from just £375 per night. Arrive from 2.30pm and enjoy a chilled glass of Pimms with a traditional English Afternoon Tea served in one of the magnificent drawing rooms, or perhaps pre-order a Hartwell picnic to relax in the grounds subject to the weather of course! Enjoy a game of croquet, tennis or explore the park before dinner in our elegant dining room, with cooked breakfast before departure. The offer includes glass of Pimms, afternoon tea or picnic, allowance of £43 per person towards dinner, accommodation, free wifi, cooked breakfast, use of the Hartwell Spa and VAT. Enjoy a complimentary night’s stay from as little as £150 per person per night based on two people sharing a classic double or twin room. *Dinner must be taken on at least two nights of your stay to validate this offer. Leave the M40 at Junction 7 and follow A329/A418 Thame/Aylesbury roads until you reach the village of Stone. After passing through Stone, watch for the signpost to Hartwell House on the left. Trains operate from London Marylebone to Aylesbury (55 minutes); then five minutes by taxi. London Luton (LTN): 25 miles. London Heathrow (LHR): 35 miles. London Gatwick (LGW): 55 miles. Situated in Woodstock, Blenheim Palace is the birthplace of Sir Winston Churchill and a World Heritage Site and is only 8 miles from Oxford. 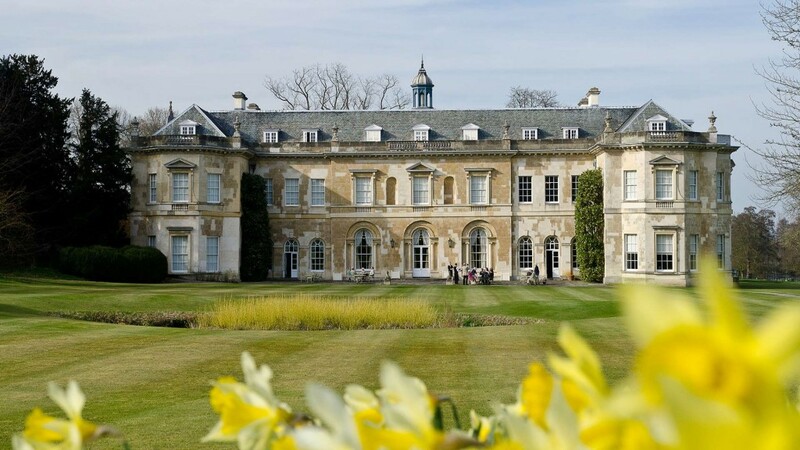 Surrounded by over 2,000 acres of landscaped parkland, it contains the great lake and beautiful formal gardens providing a beautiful day out for all. Waddesdon Manor is equally as impressive as Blenheim, and is just a short drive away from Hartwell House. Similarly to Blenheim it boasts stunning grounds of regal elegance, and hosts a number of events for its visitors including a ‘Children’s Tour of the House’, craft activity days and workshops for all. The Historic city of Oxford holds a long-standing reputation for its prestigious university and its historic buildings, which attracts thousands of tourists every year. Several of the colleges are open to the public and lunch can be taken in one of the many quaint cafes and restaurant that the city homes. For a day of shopping Bicester Village has a range of designer outlets to visit, from Alexander McQueen to Jack Wills and Cath Kidston. The shopping village sits on the outskirts of Bicester town, and can be found a short drive off the m40, junction 9. 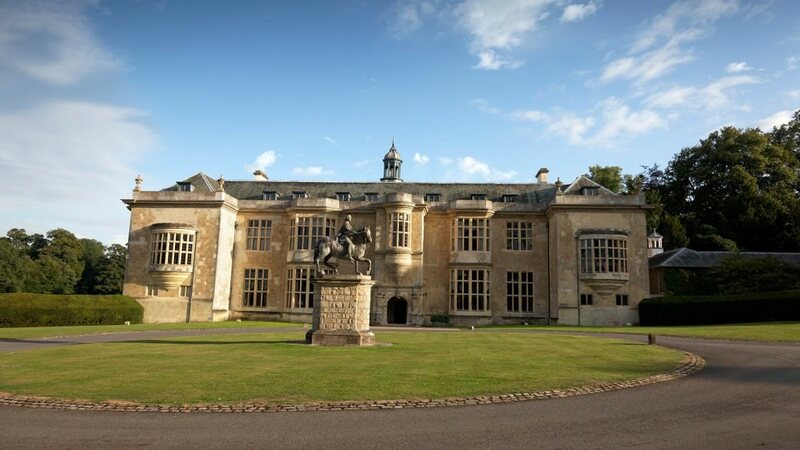 If however, you would prefer to see and discover valuable antiques then make sure you visit the Woburn Abbey Antiques Centre that displays one of the largest collections outside of London. Also on site is the Woburn Safari Park that lets you take one step closer to an assortment of wonderful wildlife. Ascot Racing makes a spectacular day out for fans of racing, royalty and fashion. With events on throughout the year, the main event, Royal Ascot Racing takes place in the summertime and is well worth booking in advance. In Bedfordshire is the home of the Dukes of Bedford, set in a 3,000 acre deer park landscaped by Humphrey Repton. The house contains an impressive collection of furniture, porcelain, silver and paintings by famous craftsmen and artists. The hotel is also situated near the Silverstone racecourse. 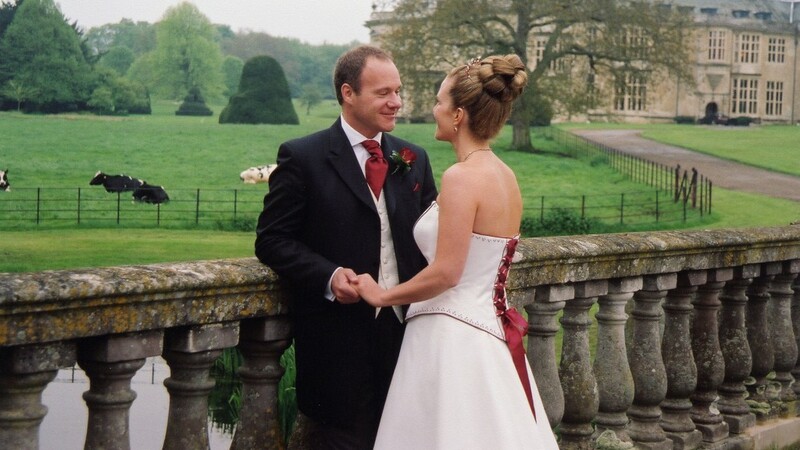 Hartwell House provides a magnificent setting for weddings and receptions, standing in 94 acres of parkland with a lake spanned by a stone bridge, a ruined church and many 18th Century statues and garden buildings. 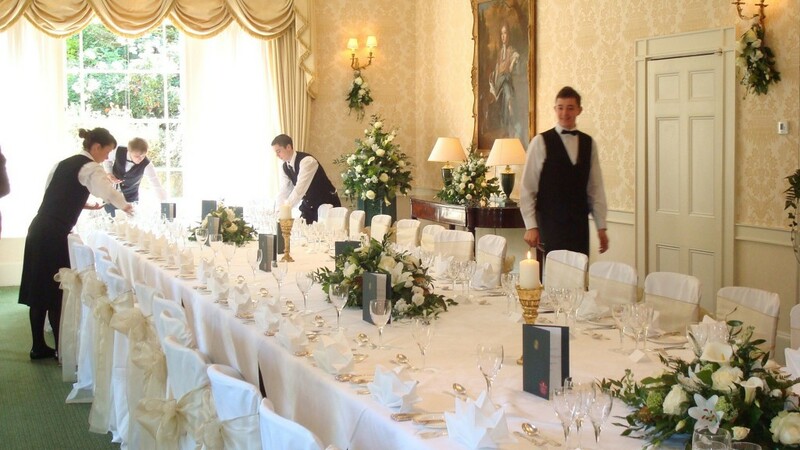 Hartwell House can assist with a number of extras that you shouldn’t have to worry about on your special day, but are of great importance to create the perfect atmosphere for your special day. A magnificent setting for weddings and receptions, standing in 90 acres of parkland with a lake spanned by a stone bridge, a Gothic chapel and many 18th Century statues and follies. 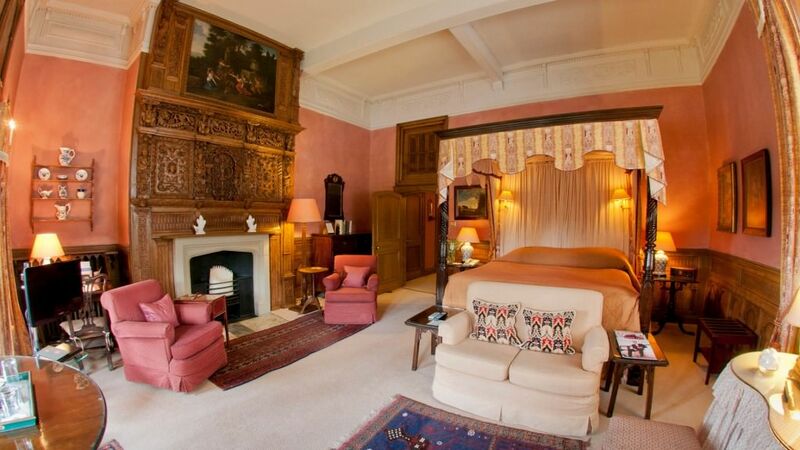 Two delightful ground floor rooms in the main house suitable for private luncheon and dinner parties. The Octagon Room, in the style of a tented pavilion, will hold up to 26 people and the Doric Dining Room can take up to 36. The dining-room in The Old Rectory (at Hartwell) may also be used for private dining. 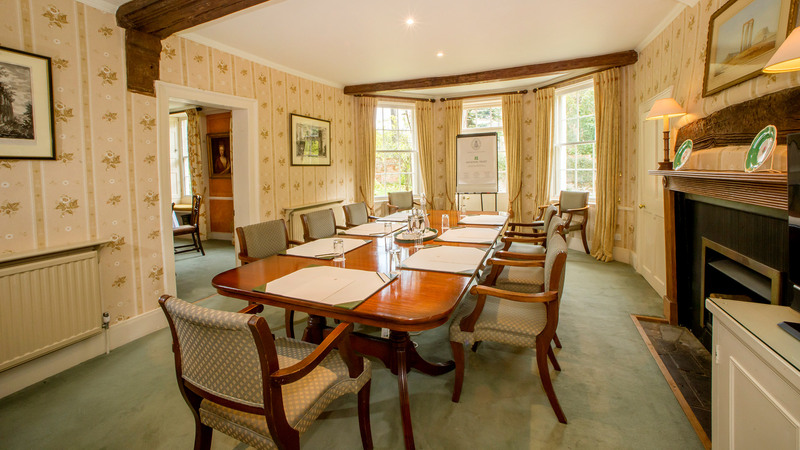 For the larger private party we are able to dine up to 60 people in the James Wyatt Room, situated in the Hartwell Court, some 100 yards from the main house. The Main House South Terrace and Lawns also offer a truly magnificent setting and backdrop for any event, and in particular a wedding. 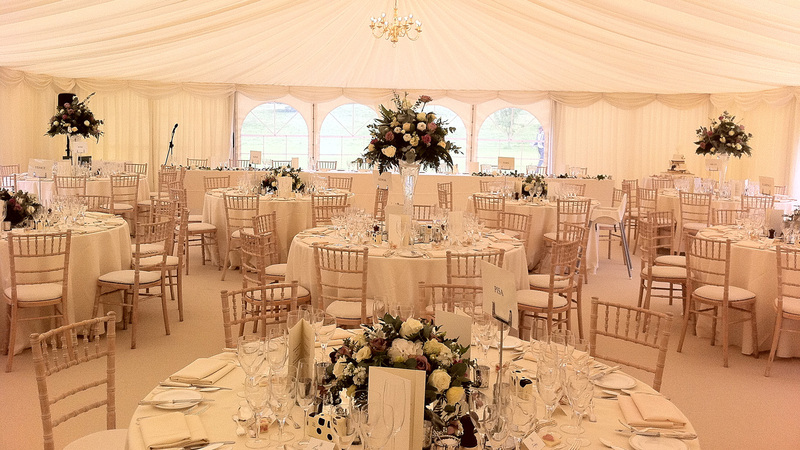 Using the South Terrace the marquee enables you to dine up to 150 guests in absolute style and you will also have Exclusive Use on the day of all the public and dining rooms, plus bedrooms. Our Head Chef, Daniel Richardson, has produced a variety of wedding Bills of Fare for you to choose from and these can be varied to suit your specific requirements. 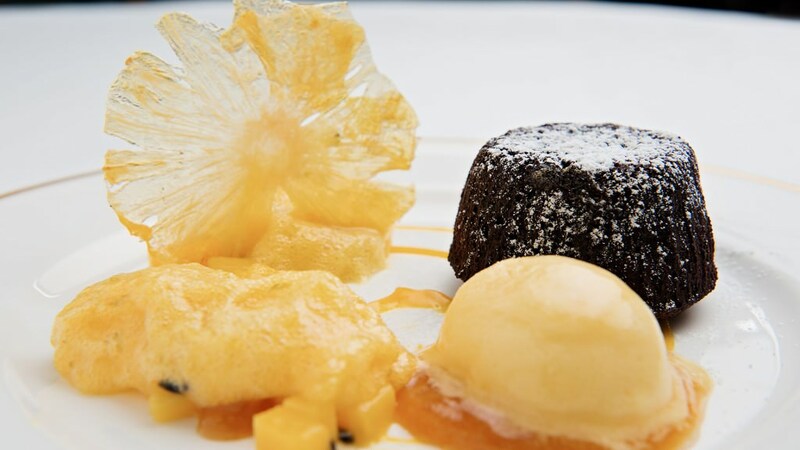 The excellent selection of wines compliments a high standard of cuisine, and we can particularly recommend our own Historic House Hotels Champagne and House wines. Please call Hartwell House & Spa for more information. 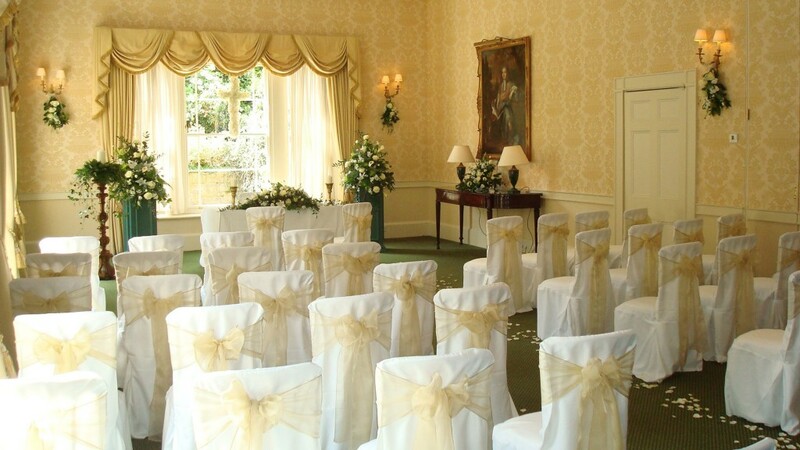 Hartwell House is licensed for civil ceremonies.